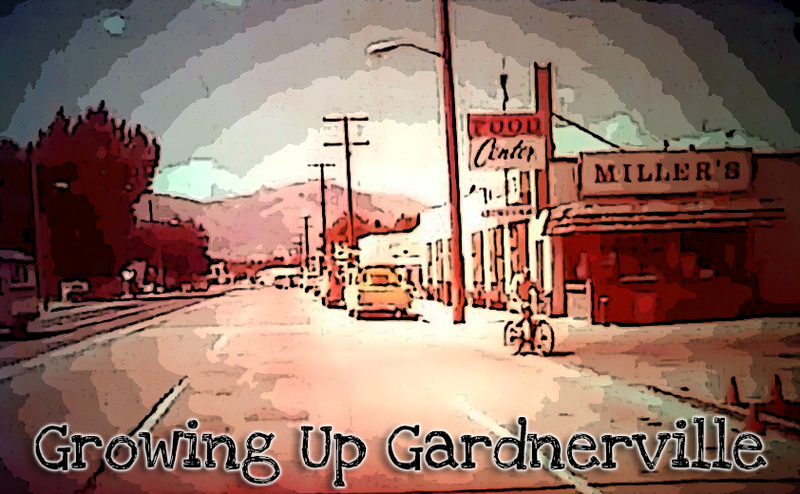 Growing Up Gardnerville is a series of vignettes, combining the moments we’ve experienced, heard about and imagined in this wonderful Valley. It is an indulgence of the memory, Twainian in nature: It’s how it happened, clouded by years of exaggerated re-telling. The places are real, some of the events are too, but names have been changed to protect the innocent, characters have been melded together for the sake of brevity, anonymity and convenience and the timeline has been jumbled and folded over on itself to serve a more entertaining storyline. When you say, “This didn’t really happen,” you’re mostly right. But it did happen, to one of us, sometime, sort of, growing up in this incredible place we call home. “So I get over the hill, right? 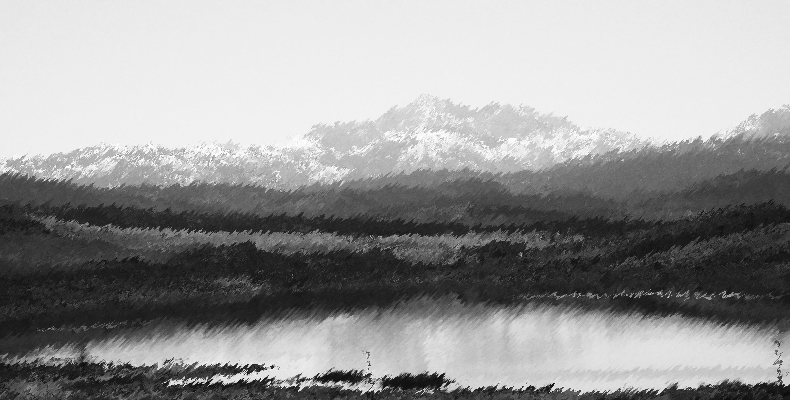 And there’s this valley … with a lake,” Dale Knotts took a long gulp from his Shasta root beer and nodded for effect. Rumor of a sparkling lake carved into the lush emerald of a valley sitting just beyond the Ranchos sandpits used to float casually between conversations across the the lunch table at C.C. Meneley Elementary. Dale was the latest fourth-grader to have found it. Dale coughed, briefly bursting whole wheat sandwich crumbs from his mouth and into his plastic Teenage Mutant Ninja Turtles lunch box. A) It stirred the explorer’s heart within – the thought that a brave new world was just an extended bicycle ride away from your front door. B) It served as an ever-present outlet of escape within the realm of pre-teen imagination. If your parents ever had the audacity to demand something as outrageous as chores completed or homework finished, there was always that valley – surely bursting with apple trees and hospitality from the neighboring wildlife. C) Knowledge of that lake was direct and irrefutable evidence that you too were brave enough, strong enough and smart enough to have successfully navigated your way out there and lived to tell the tale. The depiction of the oasis was a varied tapestry of falsities spread between friends, verified by older siblings of neighbors and logged into the canon of Ranchos lore in vague, fantastic form. It was a place where temperatures never dropped below 60 degrees and never rose above 80, where caves suitable for living in honeycombed their way through the hillside surely with room enough for all of the fourth-grade at C.C. Meneley, where wood for campfires was neatly cut and stacked, where the lake was perfect for swimming and brimming with pre-cleaned fish. Such was the way, then, before one could find it on satellite mapping or one could demand proof by asking to see the pictures on your phone. Ranchos myths then had staying power. When Jose Salas missed two days of school in October of the third grade, Billy Tompkins claimed he saw Jose’s dead body, stiff as a board, in the Sand Pits. The following day, Kyle Cooper said he’d seen the same. He went out there, saw the skull and everything. Panic ensued when Jose returned to school the following week after a visit to his grandparents in Mexico. Children screamed. Wild shrieks and flailing of the arms ensued. Billy Tompkins spent the next few hours in the principal’s office. It was a mild Memorial Day in the fourth grade when Anne Marie Hazel showed up at my front door with adventure in her eyes. I rolled my chrome-plated Mongoose BMX bike out of the garage, she hopped on her brother’s Huffy Sledgehammer and we were on our way within five minutes. In 1980s Small Town USA, that’s how adventure worked. One minute you were at home, letting the day evaporate. The next you were on the road – the world an unexplored map ready to be discovered. We cut past Meneley and through the open field that is now Ranchos Aspen Park. From there, it was Langley to Lyell, across another open field where the homes off of James Road were eventually built, and on to Bluerock. Bluerock took us all the way to the back of the Ranchos and eventually we’d trek back over to the mouth of the Sandpits. That was fourth-grade navigation. Ride four miles to travel two. “So where is it?” Anne Marie turned to me. It was three years prior when her dad had parked an empty water tanker between our houses and I snuck outside to get a closer look. She was examining one of the tires and had seen me peeking around the corner of my garage. “Do you want to see the inside?” she had asked. It had taken about five minutes for us to climb on top of the tank, open the hatch and find refuge in the dank, rusted interior. So started a partnership that had occupied most of the daylight hours since. “It’s over the hill,” I said, reciting the legend taught me by my friends. She surveyed our surroundings, the Sandpits sinking their way into the sage-covered hillside that wrapped around the entire back end of the Ranchos. I grasped for flashes of my friend’s re-tellings, desperately searching for a recalled gesture or direction. Or a map. “It’s, uh, over that peak there,” I said, pointing at the outcropping of rocks peaking highest over the easterly berm. Leaving our bikes behind, we traversed the decomposed granite, vaulting mossy boulders and parting sagebrush on our way up. 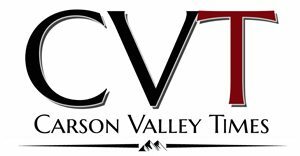 Upon reaching the summit, we were greeted with sweeping views of the southeastern side of Carson Valley – birch-colored paths cut through the dust spotted with pea-colored brush, zipping up and down yet another a hillside which eventually rolled up into the Pine Nut Mountains. Somewhere to the east we could hear the seashell ocean sound of cars passing up and down Highway 395. In the distance, a jackrabbit bounded across the plain, burrowing deep into the shadows of an outcropping of trees. But there was no lake. No emerald green valley. No caves. No fish. Anne Marie raised an eyebrow as she scanned what lay before her. She didn’t make eye contact, didn’t look at me. Didn’t say anything. I suppose there wasn’t really anything to say. The image of Jose Salas’ fists pummeling Billy Tompkins’ stomach stirred within my mind. Anne Marie shoved me in the shoulder, turned and made her way back down the hill. A group of kids had gathered about 20 yards away from our bikes. They’d ridden in on ATVs and were throwing ninja stars at lizards. We ducked behind a rock while deciding what to do. A second look had us guessing they were fifth-graders. Maybe sixth. Probably from Scarselli. She fumbled around with the zipper on her neon green fanny pack, withdrawing a water bottle. “Here, pour this under your arms, make it look like you’ve been sweating,” she said. “Teenagers … they have sweaty pits, you know?” she said, scratching under her arms and gesturing with the bottle. I took the bottle, opened it up and dabbed at the undersleeves of my T-shirt with wet fingertips, surveying the toothpick arms attached to the trunk of my 50-pound body. She grabbed the bottle, sprinkled it liberally down the sides of my shirt and pushed me out from behind the rock. I stumbled forward, only to find the older kids gone – off onto one of the nearby motocross tracks. Maybe they knew where the lake was. Anne Marie crept out behind me, we picked up our bikes and headed for home. We stopped first at 7-11 for Atomic Fireballs and Slurpees and meandered the streets of the old Ranchos for the rest of the day before walking our bikes up our driveways in time for dinner. “Do you think it’s really there?” Anne Marie sighed, chewing on sliver of cold pizza she’d snatched from her refrigerator. It is really there. Mud Lake. I found it on a map many years later, about a mile and a half south of where we’d looked.